This is where we have all our belts, braces and suspenders which are ideal for snowboarding and skiing, leather and canvas, by a variety of the big snowboard brands, including Analog, Burton, Ride, Oakley, Line and SevenNine13. Huge selection of different styles and colour at low prices but super high quality. With durable buckles and a comfortable stretch fabric Arcade Belts wont let you down. Don't let your pants fall down with these rugged and lightweight suspenders from Oakley. Durable and comfortable stretch belt made from recycled materials. With durable buckles and a comfortable stretch, the Guide Utility Belt from Arcade won't let you down. Sleek men's belt with one-handed operation and a form-fitting design. Patagonia Simple answer to a minimalist belt that does the job. Eco-Friendly Woven belt from Picture. Durable and comfortable cotton belt made from recycled materials. Sleek and Stylish Leather Belt from Picture. Patagonia's Simple answer to a minimalist belt that does the job. Simple, stylish adjustable Ski or Snowboard belt from Dakine. 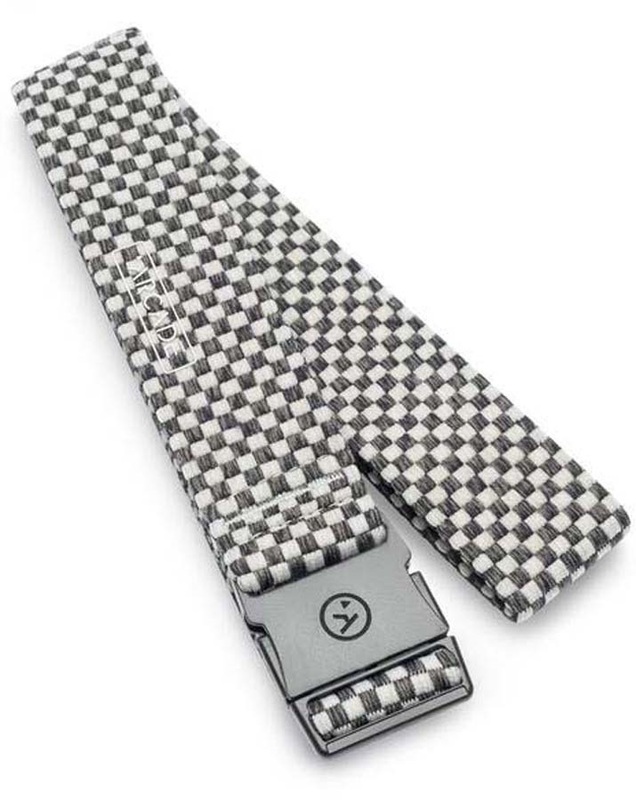 Lightweight, low profile and comfortable shoe lace belt that features reflective hits.